With more and more people finding ways to make a living outside of the traditional scope of employment, home studios are more popular than ever before. Whether you’re making music, recording voice-overs, or producing and mixing, having a good space to work is useful to a growing number of people. The problem is, even a small home studio can get very expensive if you try to mimic the professionals, and expensive is rarely a good thing. But not to worry; you can make your home studio work for you without spending thousands on acoustic treatment and audio equipment, the trick is tailoring things to your needs. So let’s look at what you'll need. Even a cheap home studio needs the basics. 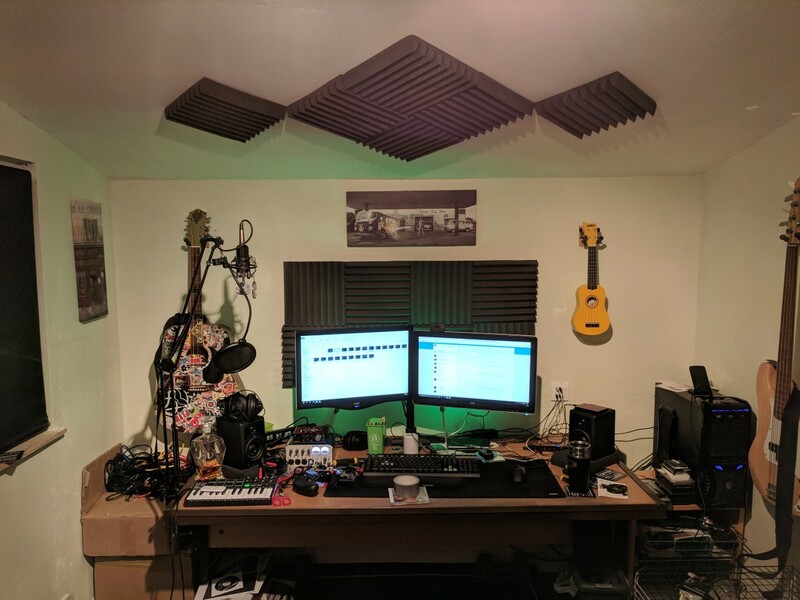 Before we get into what you can do to build the best home studio for cheap, or improve your existing one without breaking the bank, let’s just cover a few minimum requirements. Unfortunately, there are some things you just can’t get around. You will need something to work on your audio. And, depending on your requirements, it might need to be a decent computer. Sure, if you’re doing voiceover work you could get away with a semi-decent microphone and any old computer. 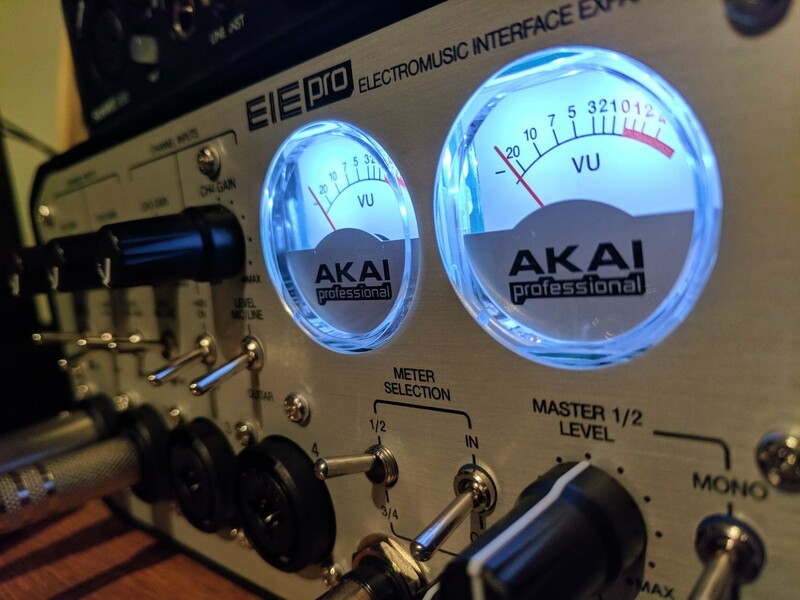 But if you’re producing or mixing, you’re going to need something with a bit of power under the hood. There’s no way around this. The good news is that this doesn’t necessarily mean an expensive Mac and hundreds-worth of audio software (though it still can if that’s what you want). Even cheap modern computers can handle the basics, and you can pick up a copy of Ableton (albeit a greatly stripped down one) for less than a meal at a good restaurant. You’re going to need somewhere to do your work. Now, as we’ll get into shortly, that doesn’t necessarily mean a dedicated room that you can claim as your own (though it would definitely be better). If you’re in a situation where this isn’t possible, you can still make things work as long as you can get some space to yourself from time to time. You’ll just need to have a more portable set up so that you can get out of the way when your wife/roommates/whomever need to use the kitchen, bedroom, or wherever else you might have set up your gear. Unfortunately, if you want to make things, you’re going to need the tools to do it. What those tools are will vary, and you should allocate what budget you have around that fact. For example, if you plan to do voice over work, you don’t need fancy audio processing software—a free program like Audacity will do fine. In that case, put as much as you can into a decent microphone and audio interface. On the other hand, if you plan on making electronic music—such as synthwave—you’re going to need a decent DAW (digital audio workstation), but the microphone isn’t as crucial since your vocals will probably be heavily processed. You may also want to get yourself a decent midi controller. 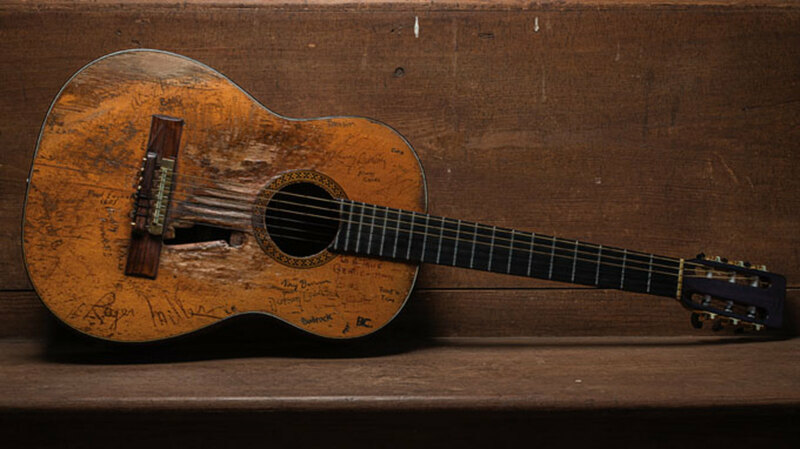 This article will be assuming that you already have any instruments you intend to play—guitars, amps, keyboards, whatever your poison is. This is a studio on a budget, there will be compromises. Very few home studios are perfect, the rooms simply weren’t built with this purpose in mind. Professional studios are nearly always constructed within a space, with acoustically treated, sound proofed walls being erected in an optimal configuration inside whatever layout the larger structure has. While this is possible for a home studio in some cases, it requires a lot of space and expense. Fortunately, you don’t need perfection, you just need to tailor your studio to suit your needs. Think carefully about what you intend to do. Are you going to be recording instruments? If yes, is it one specific kind of instrument or many? Acoustic or electric? How will what you’re doing affect those around you? 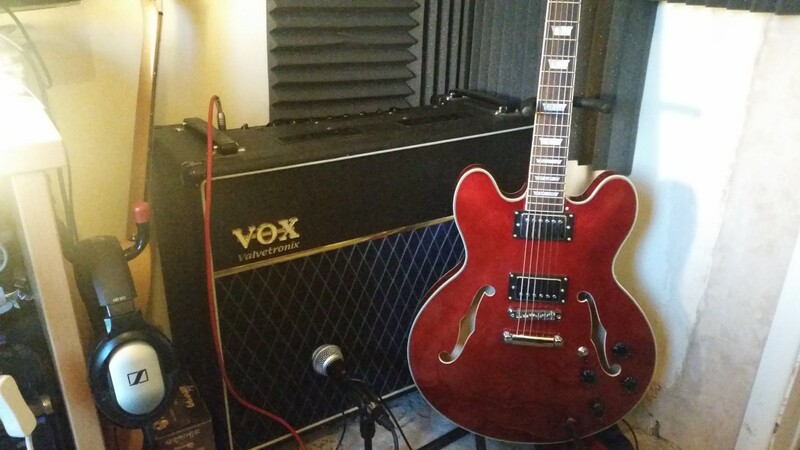 If you only plan to record electric guitar, you only really need space for your computer set up and a guitar amp. And you don’t even need the amp if you're happy to use amp simulation software! If you’re doing voice over work, you could literally make do with a closet for your whole set up. Where it gets tricky is in acoustic instruments. A piano or drum kit, for example, is a bulky proposition for most home studios, but it’s not merely the size of the instrument that you need to accommodate. 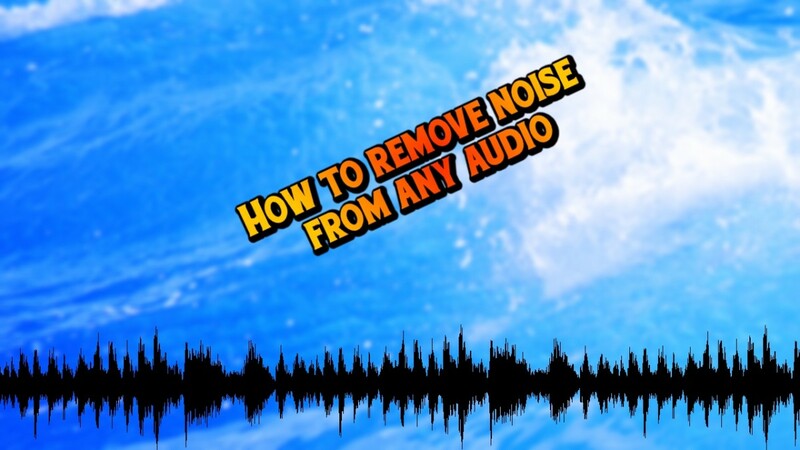 Recording an acoustic instrument means recording a certain amount of room noise, and if your room isn’t great for recording, that room noise could give you problems. Not to mention the effect on those living with or near you. Your neighbors won't appreciate you cranking it to eleven in the middle of the night as you try and get your latest track down. If you’re looking at a home studio solution, you’re on a budget. It’s as simple as that. If money were no object you’d be building a professional studio or renting time in one. And if you’re reading this sitting in a huge empty garage with a few tens of thousands burning a hole in your bank account, that’s great, go make the perfect studio, but this article isn’t aimed at you. For those of us who are on a (probably tight) budget, you need to learn to prioritise how you spend your money. Do you really need a professional grade ribbon microphone to record your five watt practice amp? Should you blow hundreds on acoustically treating the room you want to produce in, only to listen to your mixes through cheap PC speakers? It’s very easy to spend money on improvements that are essentially useless because of some other aspect where you’ve skimped. You may not have money to burn, but you have knowledge and elbow grease. Fortunately, you can avoid paying for many expenses with a bit of know how. 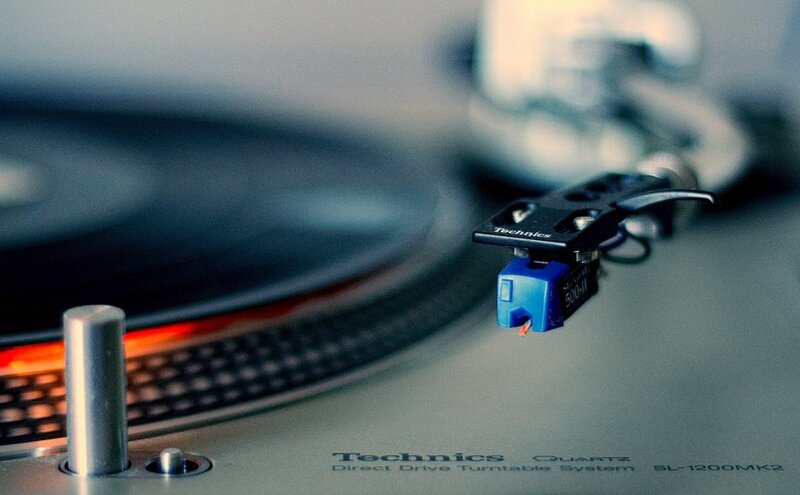 So let’s look at some home studio alternatives to spending a load of cash. Professional acoustic treatment is an expensive affair, but there are things you can do to achieve similar effects. Firstly, it’s good to have a rough idea of what you’re trying to achieve. Sound, like any kind of wave, reflects. The more diffuse a surface is, the less it reflects. Essentially what this means is that the smoother a surface, the more echo and reverb you will get. This can be great for dedicated rooms where that echo or reverb is what they're for, but for a home studio you’re going to want to cut as much as much of it out as possible. When your resources are limited, it’s much better to get as dry a recording as possible and add effects after the fact. So know your enemy; hardwood floors, windows, bare or painted walls. These are all things that will contribute to unwanted sound reflections. 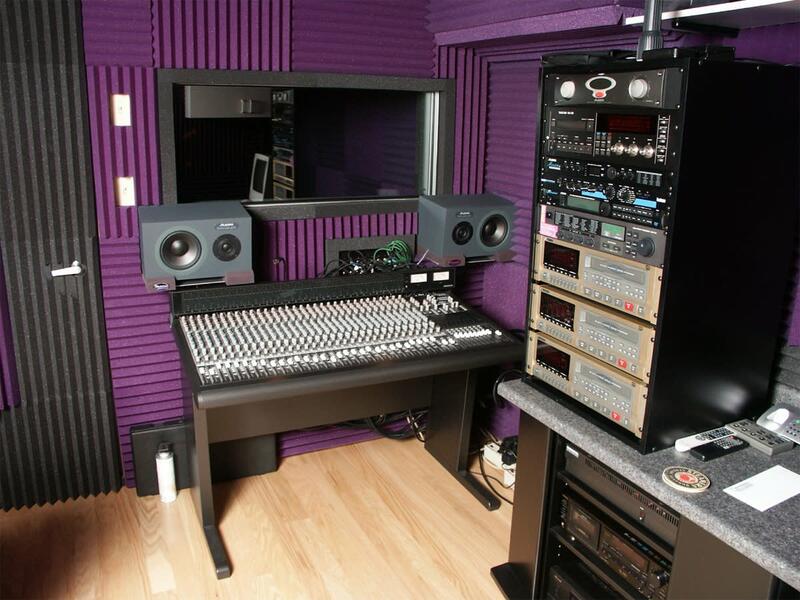 In a professional studio, this is combated with sound diffusers, absorbers, bass traps, and other tools of the trade. This may be something to consider, as “home studio kits” are not prohibitively expensive, and will usually contain enough acoustic treatment materials to get you started. If these kits are still out of your budget, however, fear not. Here are some key things you can address. Ensure the floor is not one big reverb plate. If the room you want to use is carpeted, great. The thicker the better. If not, think about getting some rugs and placing them in key areas. 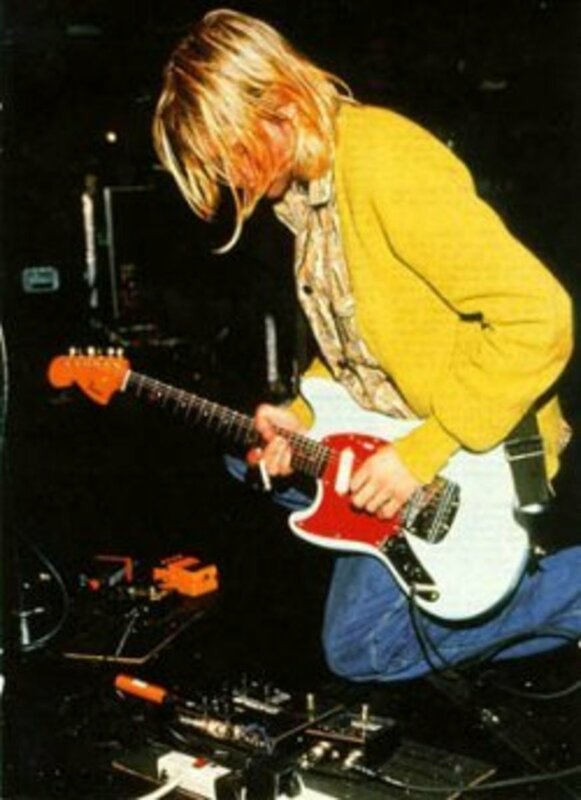 Underneath instruments and anywhere a microphone will be placed, for example. Do the best you can with vertical surfaces. You should always have a way to cover windows, be it a regular curtain or a thick blind. Venetian blinds are particularly good for this, as they do a nice job at diffusing sound while still allowing light into the room. For the walls, consider hanging some sheets up around the room. Said sheets shouldn’t be stretched taut; you want the surface to be uneven so as to diffuse the sound waves as best as possible. The ceiling is tricky. You’re not going to be able to do a whole lot to it without buying some proper material, such as acoustic foam. And you’ll be able to do even less if you’re trying not have too much of an impact on the room. Generally speaking, if you can do a good enough job with the rest of the room, the ceiling shouldn’t cause you too much grief. If it is, however, an effective solution is to shield the instrument and/or microphone directly. 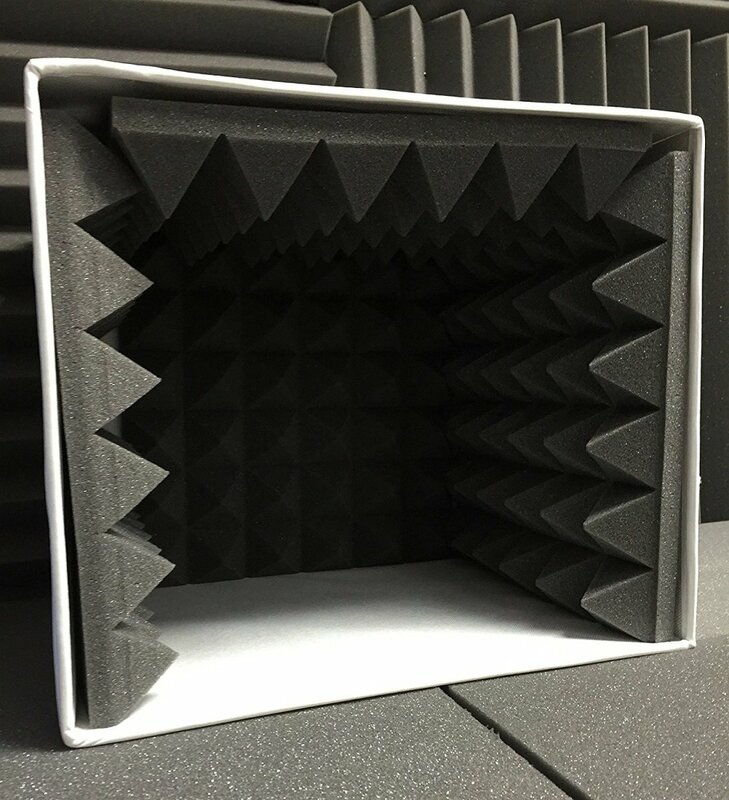 If you did buy a pack of acoustic foam tiles, find a way to position one over the mic, for instance. 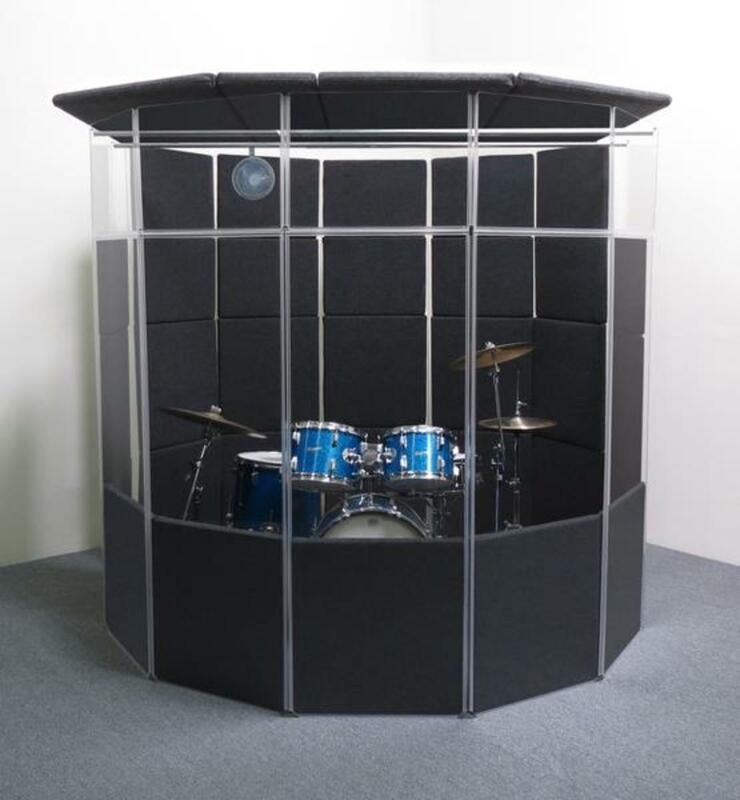 Whether it’s singing or voice over work, vocal booths can be a great tool to have in your arsenal. Fortunately for the home studio denizen, it’s far easier to create an effective vocal booth than an acoustically treated room. So let’s look at some options. You want a vocal booth to produce as dry a recording as possible. That’s why professional vocal booths are typically wall-to-wall acoustic foam. It’s not a matter of reducing reflections, but eliminating them entirely. If you don’t want to fork out for the proper acoustic foam, as mentioned above, you can use sheets and curtains (as thick as possible) as well as a nice, thick carpet. With regards to where, if you have an unused closet you can claim, that would be ideal. If not, you can fashion something using shower curtain rails and the corner of a room, even an old wardrobe! But if even that’s not possible, reflection shields are your friend. A reflection shield is kind of like acoustic treatment for your microphone. 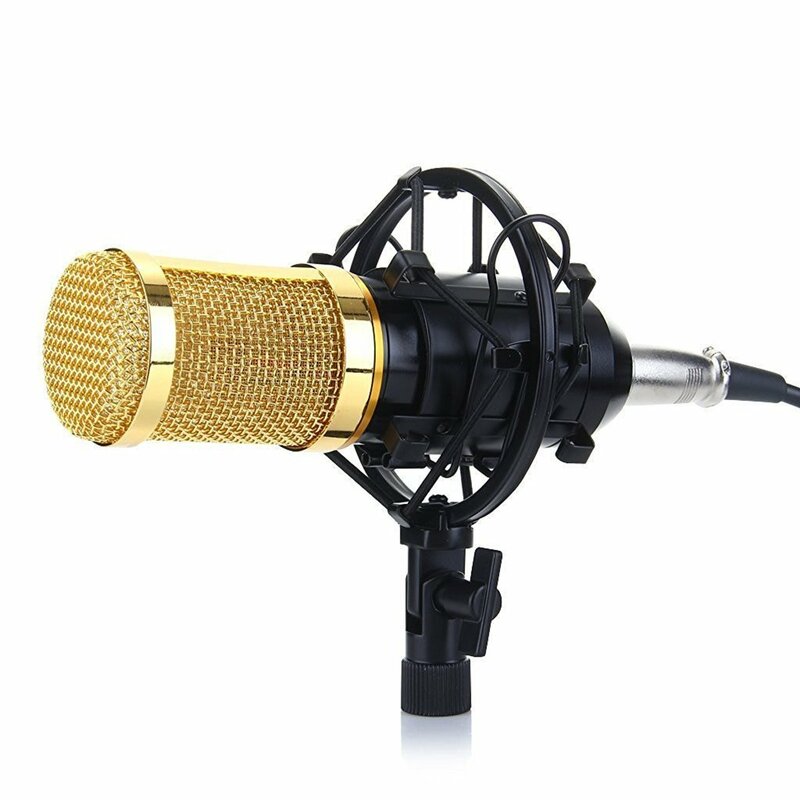 It encircles the rear half of the microphone and cuts out noise and reflections from those directions. You could also take things a step farther, with a portable isolation booth. Often homemade, these are essentially an acoustically deadened box with a microphone inside and hole for you to stick your head through. It may look a bit odd from the outside, but it’s just as effective as a fully treated isolation room. If you’re in a situation where you can’t dedicate a space to your home studio, you need to look for a more portable set up so that you can move around. This will often mean a laptop, which many artists work from anyway. It will also mean fewer options regarding your audio interface, but as the bigger, heftier audio interfaces tend to be a lot of money, that’s not really relevant to this article. Many companies like M-Audio and Focusrite do great little audio interfaces connect to your computer via USB and work great. As for the aforementioned acoustic treatment, you’ll have to rely on things like reflection shields and portable vocal booths if the space you’re using is interfering with your work. Effective, portable methods of localised acoustic treatment and isolation are widely available to buy and easy to make. Just because you've built a studio, doesn't mean you can never leave! Never be afraid to work outside of your own space. If you know someone with a room that would be perfect for a particular recording you need to do, ask them if you can use it for a while. If you’re producing and you don’t own a car, ask a friend or family member if you can sit in theirs for the all important car stereo test. 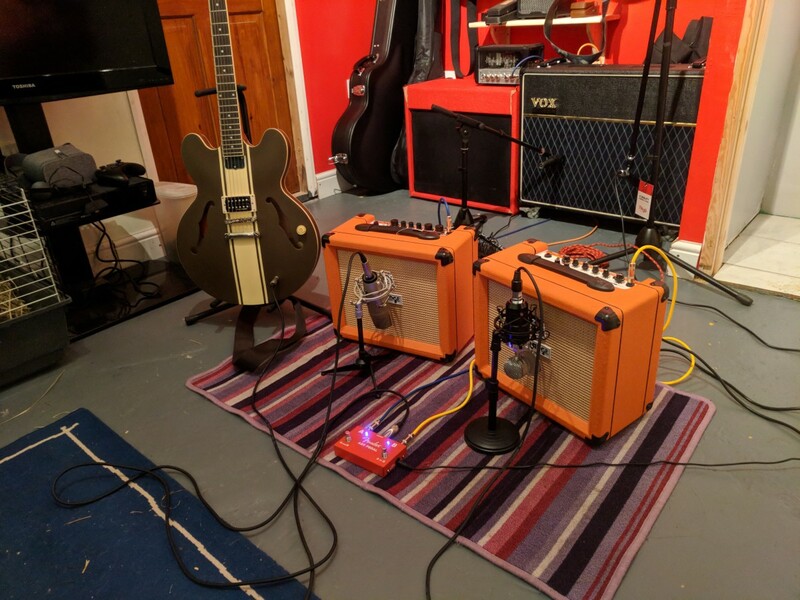 Something as simple as having a friend with an expensive guitar rig letting you turn up with your laptop and mic to record a particular riff can make the world of difference to your work. But finally, after all that talk of acoustic treatment and microphones and DAWs, my main piece of advice to give you is to go and create. Your song might not sound as good in your tiny home studio with the bad acoustics, but it will sound better than if you hadn’t made a song at all! But now, because it's always nice to have credibility, here's a video from a true professional on making the most of your home studio. Thanks for the comment, Asif, I totally agree. There's no reason anybody working with audio these days can't succeed on a very modest budget. A great initiative. An inspiration to innovate on your theory and come up with more ideas to get better results by reasonable or affordable means. I have done similar work with trying to reach high audiophile status with reasonably priced audio systems. With modern PC systems and the available audio processing software, much can be achieved with some effort and innovation.